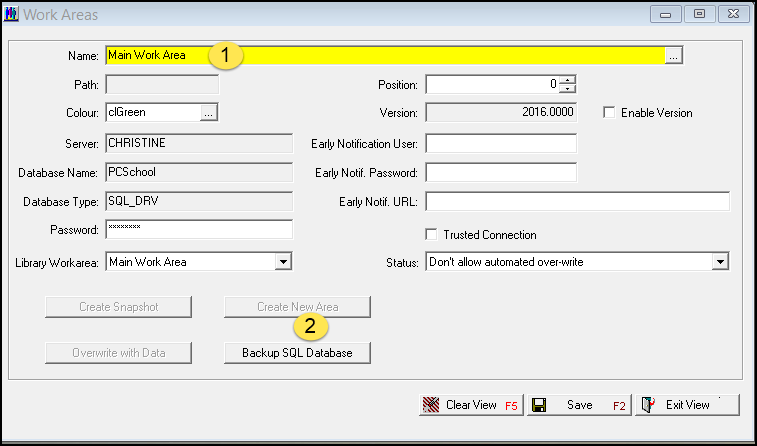 You can now do an SQL Backup within Back office PCSchool. This can be used if your IT support are not available prior to making any major changes, such as end of year procedures. This process uses the default location of the SQL Server’s backup location, which is unchangeable, so you may not have access to it without a login to the SQL Server. You can change description to reflect the purpose of the backup. Press [OK] when ready to start the backup.